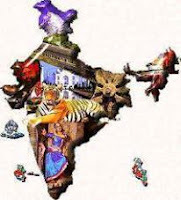 India GK Question Sample Paper 112: India General Knowledge (GK) Sample Question Paper No. 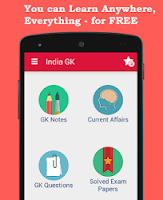 112 with Collection of 20 Question of India GK Questions under GK Quiz in PDF @ India GK Sample Papers. India General Knowledge (GK) and General Science (GS) Questions are also available with Quiz on daily basis. Q.1861 In India which one of the following is not a natural harbour? Q.1862 Where is the 'Black Pagoda'? Q.1864 Which of the following is not a fruit? Q.1865 Sound waves do not travel in? Q.1867 If two points are placed just on either side of the International Date Line, the difference in time between these two points will approximately be how many hours? Q.1868 Which one of the following rivers flows near Paris? Q.1869 Which one of the following latitudes forms a great circle? Q.1890 Which one of the following is known as the Pearl City? Q.1892 Who was the first man to reach the South Pole? Q.1893 Which of the following cities are situated on the banks of river ‘Tigris’? Q.1894 Which of the following is not an island? Q.1895 Which of the following places are connected by the Adam’s bridge?